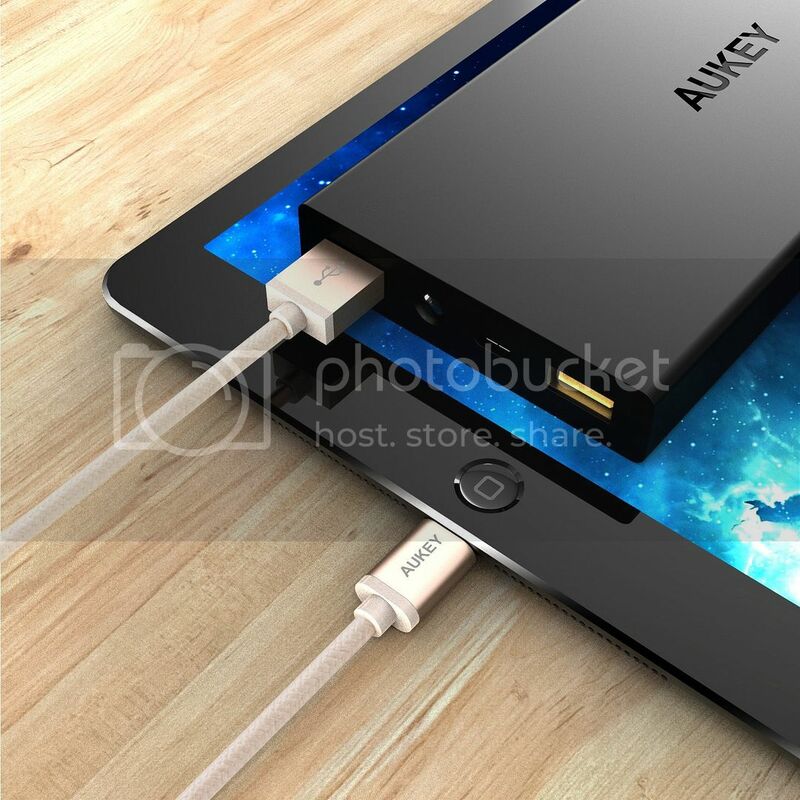 The AUKEY Edge: High-quality internal wires support charging and provide fast data transfer rates up to 480 Mbps, more efficient and saving power. 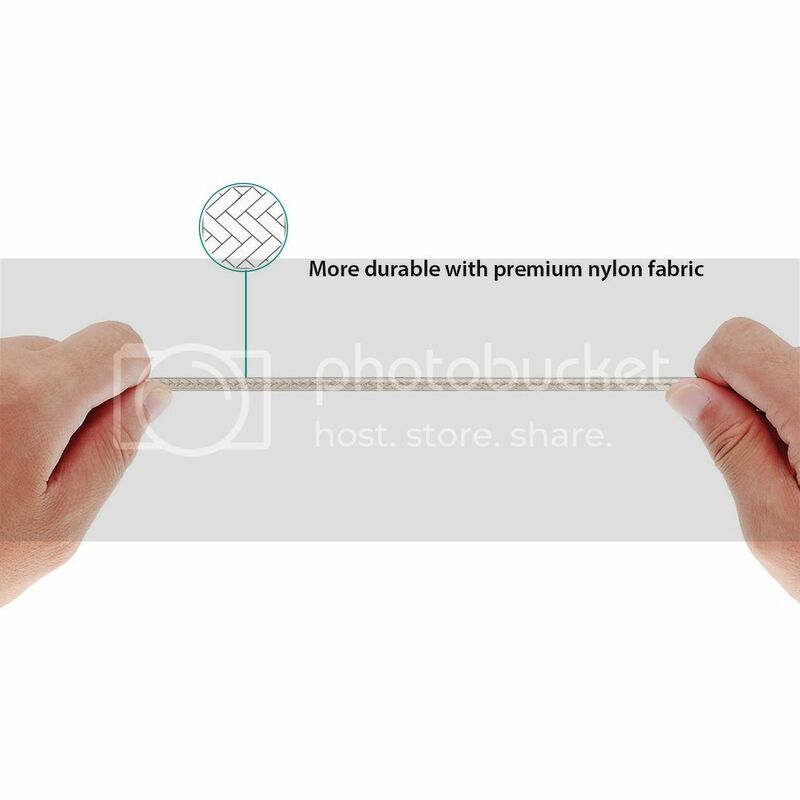 PREMIUM QUALITY: Eco-friendly premium materials by nylon braided, strengthened stress points, enhanced durability testing and safety technology ensure it used for long-term. 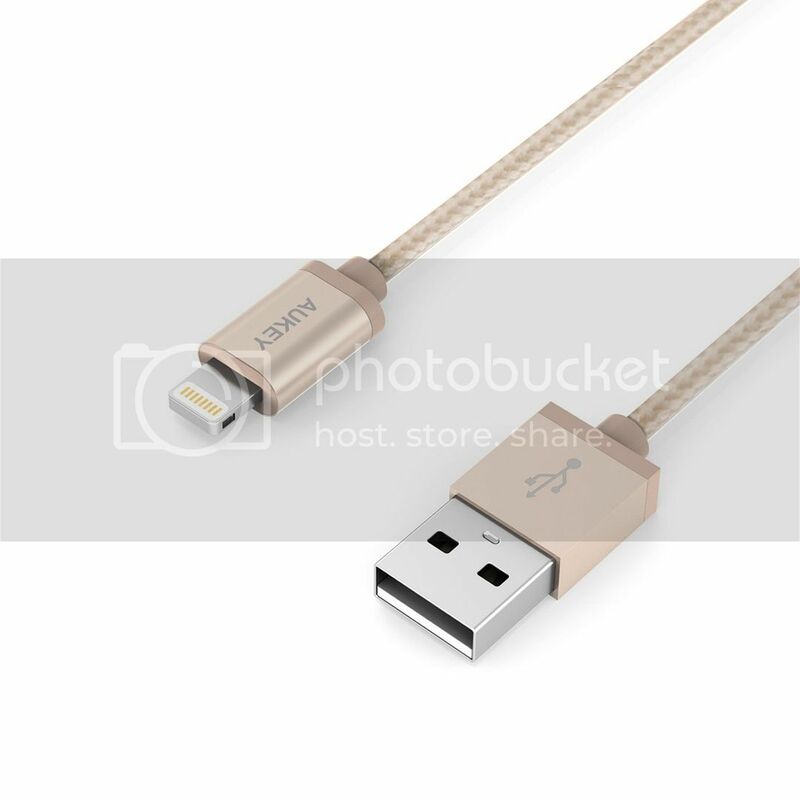 APPLE MFI CERTIFIED: This type of lighting cable has been certified to meet Apple performance standards, offering customers more reliable guarantee than non-certified cables. COMPATIBILITY: 100% compatible with any lightning products with IOS system, such as iPhone SE / 6S / 6 Plus / 5S / 5C / 5, iPad, iPod, iTouch. 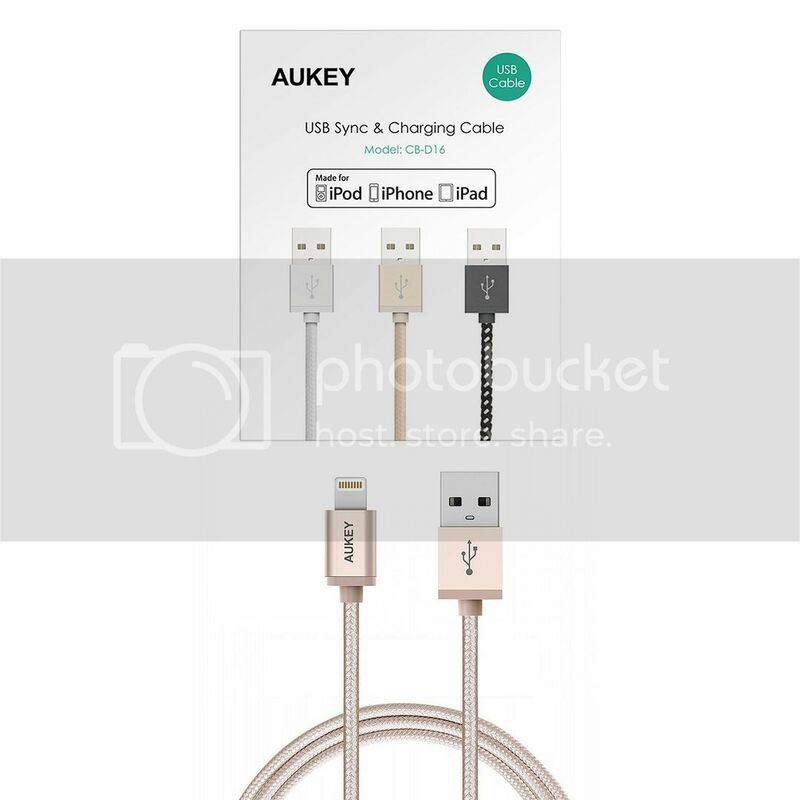 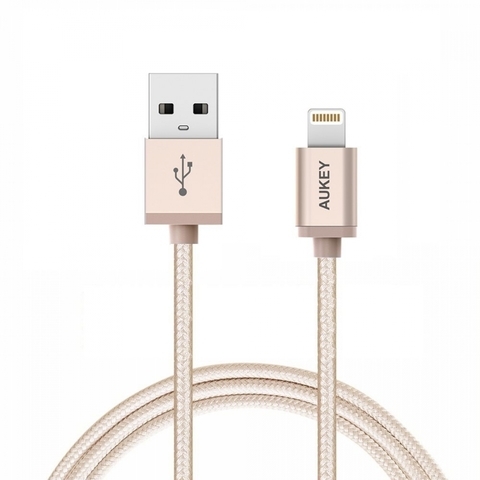 WHAT YOU GET: AUKEY Lightning Cable 3.9ft / 1.2m Nylon Braided, 12 Months worry-free warranty & 100% Customer Satisfaction. 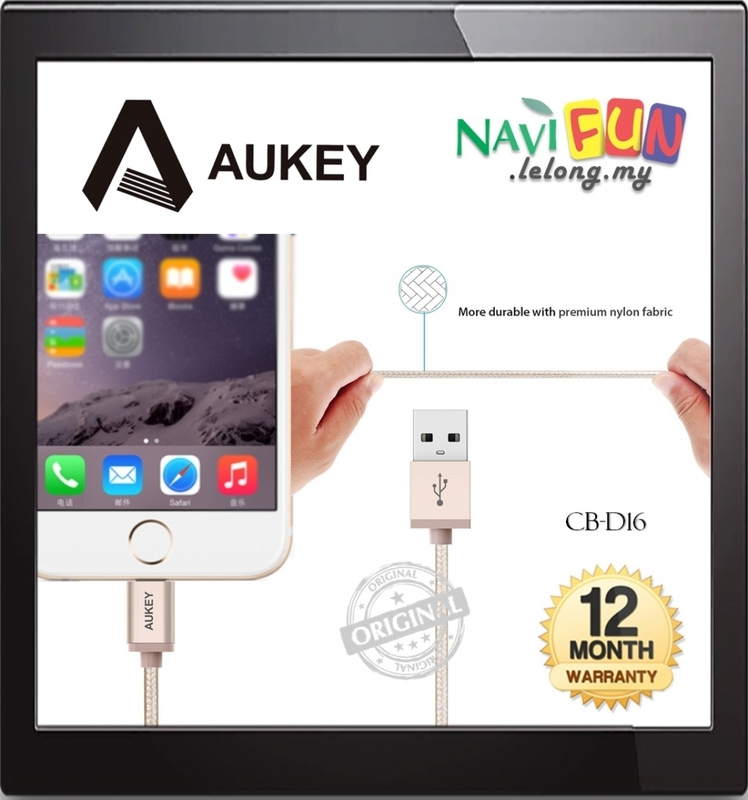 Enjoy super-fast charging, sync and data transfer delivered through Aukey 100% Apple MFI certified lighting cable. This single cable is perfect for the home, office, hotel or car use, it's the only Lightning cable you'll ever need. Get it all: charge smarter, faster and safer every time. Perfect for long term, heavy duty use, the cable features premium copper wire core wrapped in a special woven nylon braid sleeve jacket for enhanced tensile strength and the ultimate protection. With high folding endurance, the design ensures maximum resistance to both breaking and tangling. 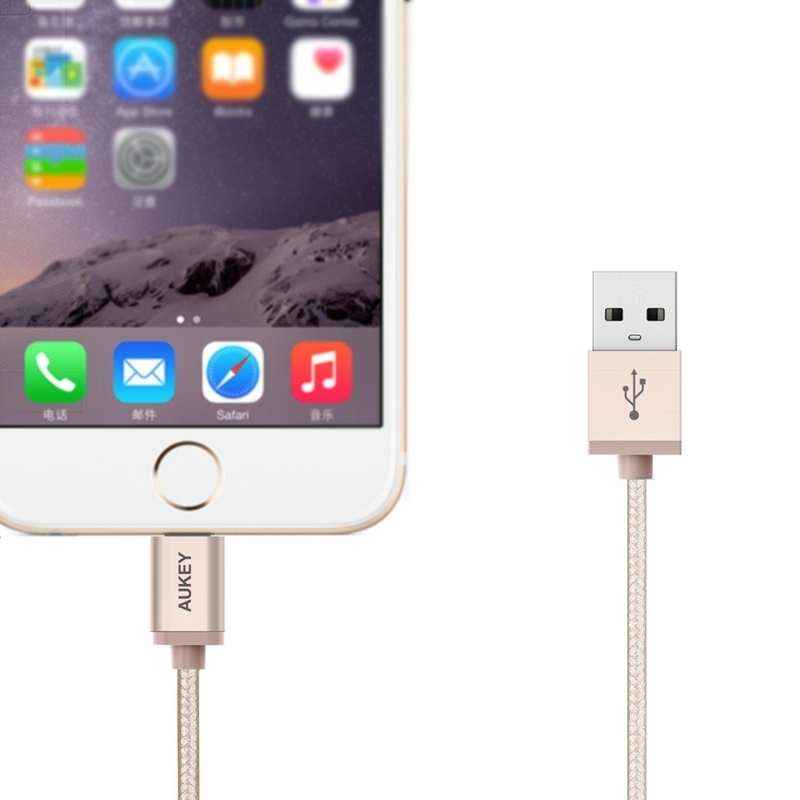 Stylish and precision crafted, the minimalist form factor effortlessly is designed to complement your favourite Apple devices, such as iPhone SE, 6s Plus, 6s, 6 Plus, 6, 5S, 5C, 5, iPad Air 2, Air, iPad Mini, Mini 2, Mini 3, iPad 4th gen and iPod Nano 7th gen devices. 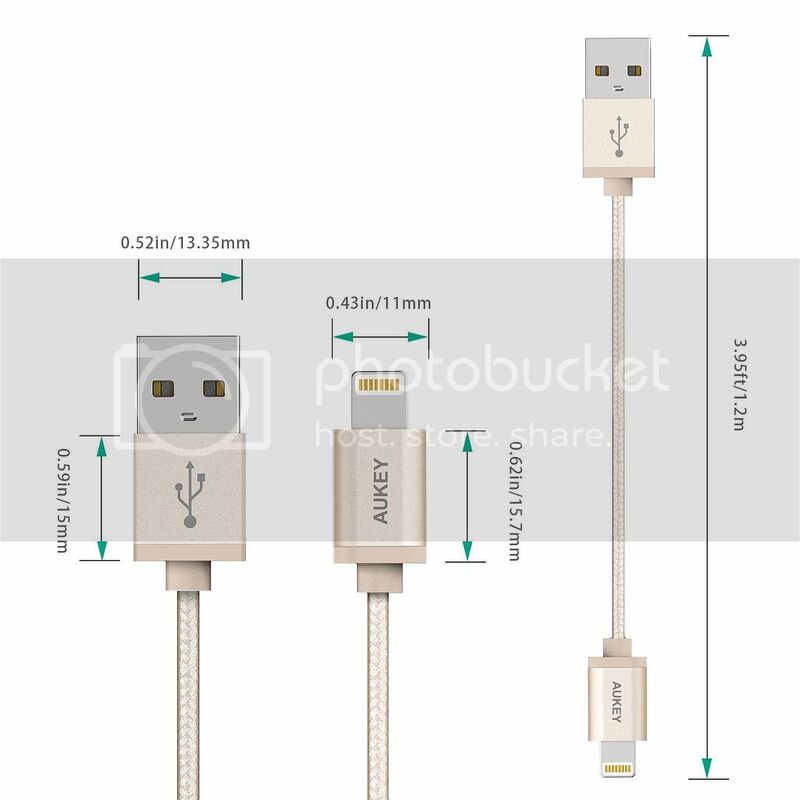 At 3.9ft / 1.2m, the cable length is optimized for use with hard-to-reach USB ports and out-of-sight wall chargers. It is suitable for your use even with moving.